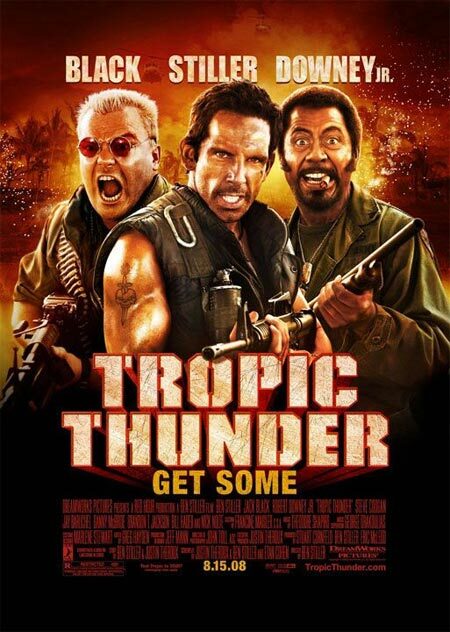 This week marked the arrival of the highly-anticipated Tropic Thunder. It didn’t open to spectacular numbers on Wednesday, but that just means there are more people to see it this weekend. Also opening are Star Wars: The Clone Wars, which is set between Episodes II and III of the saga, and horror flick Mirrors starring Kiefer Sutherland. There are also a smattering of semi-wide releases, including Henry Poole is Here, Brideshead Revisited, Vicky Cristina Barcelona (Woody Allen’s latest), and Bottle Shock (which I’ll be seeing this weekend). While none of these will break the Top 5 obviously, they could draw some of the audience away from the bigger releases. So, I’ve gotta tell you, I’m pretty stumped this week. Oh well, here goes.